GARAGE & 2 CAR DRIVEWAY - YES A NORTH END SF HOME WITH 4 BRS 1 1/2 BATHS. THIS CRAFTSMAN COLONIAL HAS OAK/PINE WD FLS THROUGH-OUT & ORIG. WD TRIM. NEWER CUSTOM KITCHEN HAS GRANITE COUNTERS & VIKING STOVE & MICROWAVE & A BOSCH DISHWASHER. THE 2 BATHS & KIT REDONE IN 2015. LR OPENS TO DINING RM & 1ST FL BR & 1/2 BATH. UPSTAIRS ARE 3 BRS AND FULL BATH. WALK UP 3RD FL READY TO BE FINISHED. THERMOSTAT IS A STATE OF ART - ECOBEE SYSTEM. SEC SYSTEM - ADT. 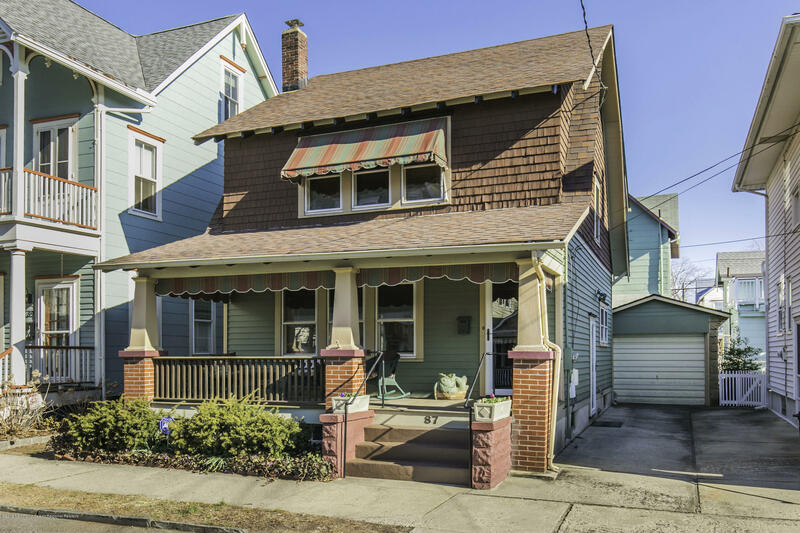 ENJOY LARGE OPEN SOUTH FACING FRONT PORCH & REAR PRIVATE FENCED YARD. HOUSE IS CLOSE TO ALL THINGS OCEAN GROVE & ASBURY PARK. 4 BLOCKS TO BEACH AND A BLOCK TO SHOPS, RESTAURANTS & EVENTS.